The Spanish word Conquistador means conqueror. The Conquistadors were Spanish Soldiers and Explorers. 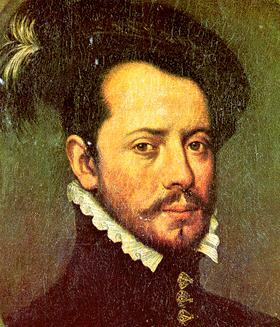 In 1519, Hernán Cortés, a Spanish conquistador, set out from Cuba with 600 men on an expedition to present-day Mexico. After landing with his men, he made his way to Tenochtitlán, the capital of the Aztec Empire. He soon came into contact with the mighty Aztec Empire, home to millions of citizens and thousands of warriors. A major element of Aztec life was religion. A polytheistic people, they often practiced human sacrifice to please their gods. 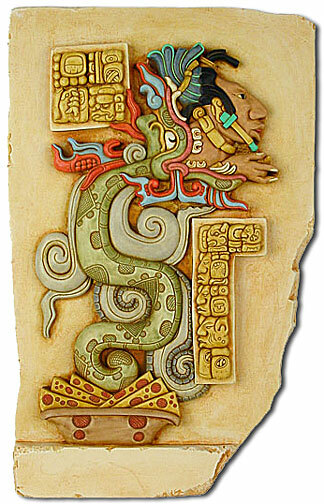 According to legend, the god Quetzalcoatl, characterized by light skin, red hair, and light eyes, was supposed to return to earth. This appearance is similar to European appearance, and may be why the Aztecs originally greeted the Spaniards with food and gold. The Spaniards, however, approached the Aztecs with an entirely different attitude. They had a strong sense of supremacy and intended to convert the natives to Christianity but their methods were radical. The Spaniards gathered the natives together and shouted the essentials of the Gospel, oblivious to the fact that the Aztecs did not understand their language. If the natives refused to fall to their knees and repent, the Spaniards assumed they were rejecting the word of God and killed or enslaved them. A huge battle erupted between the army of Cortes and the Aztec people under the rule of Montezuma.Cortez was able to take Montezuma hostage and this lead to the Aztecs driving the conquistadors out of Tenochtitlán in 1521. In the end though the Spaniards were aided by the diseases that the Aztecs had no immunity to. It is estimated that three-quarters of the Aztec population died of violence or diseases like small pox and measles. Finally, the Aztec capital fell on August 13, 1521. After capturing Tenochititlan, the Spaniards destroyed the city, and built Mexico City on top of it. Just as Tenochititlan was destroyed, most of the Aztec civilization was destroyed with the European Conquest.